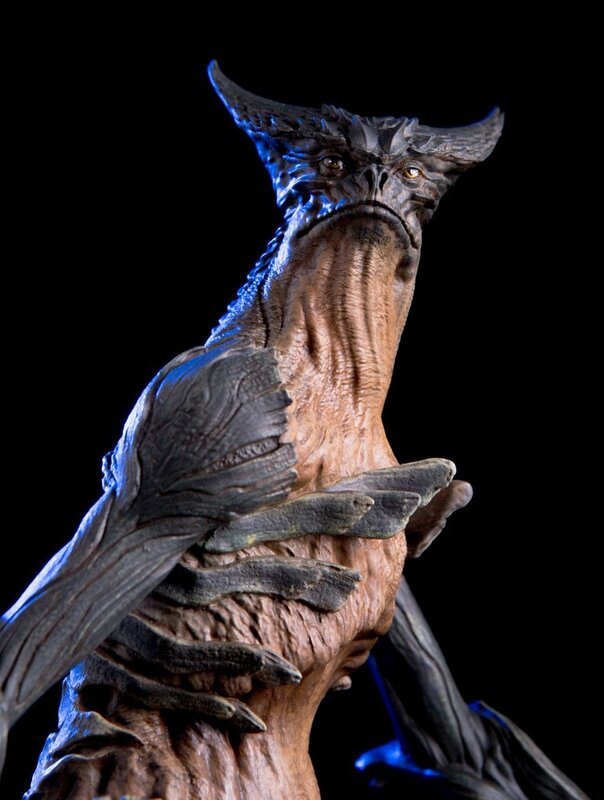 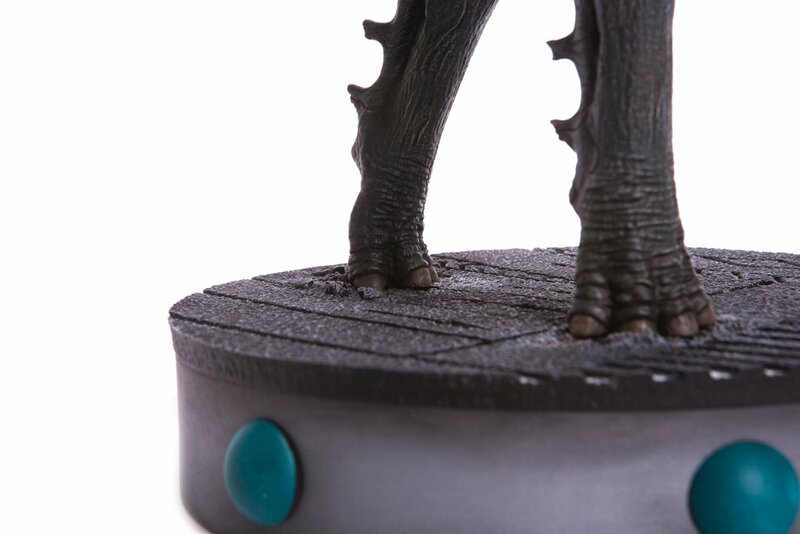 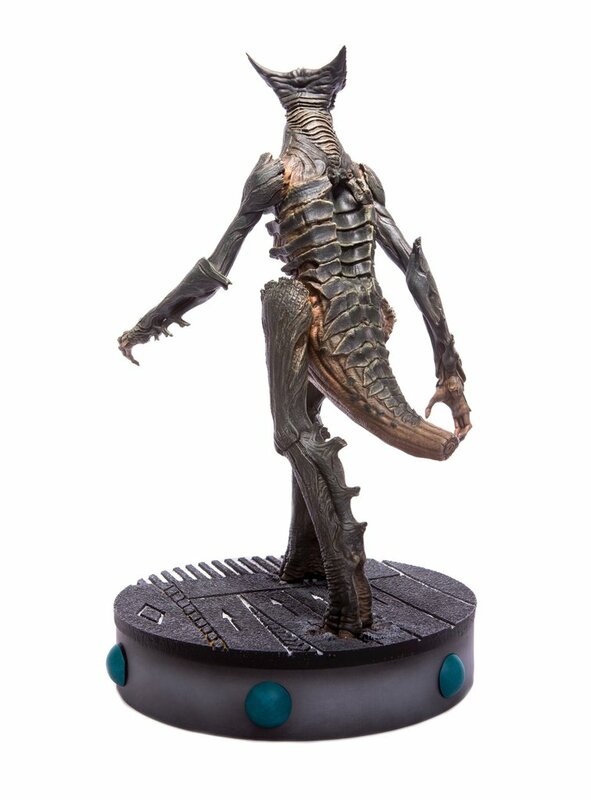 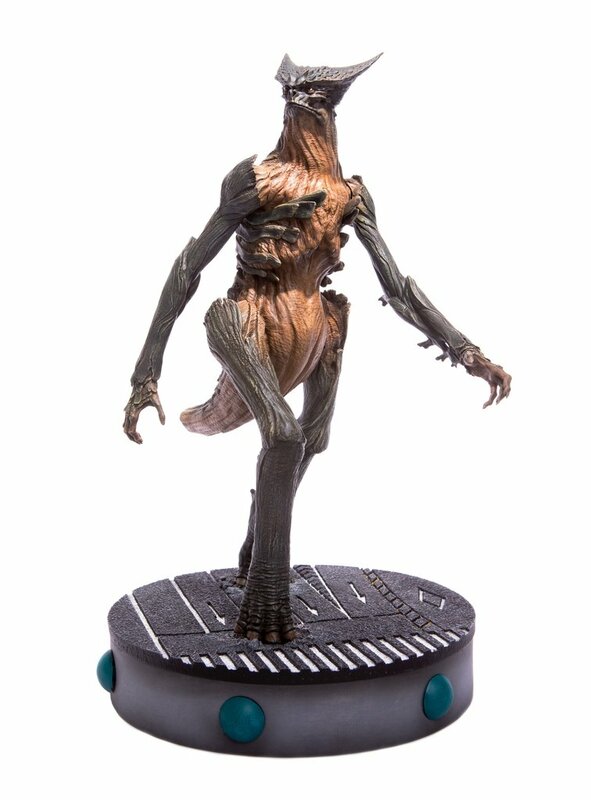 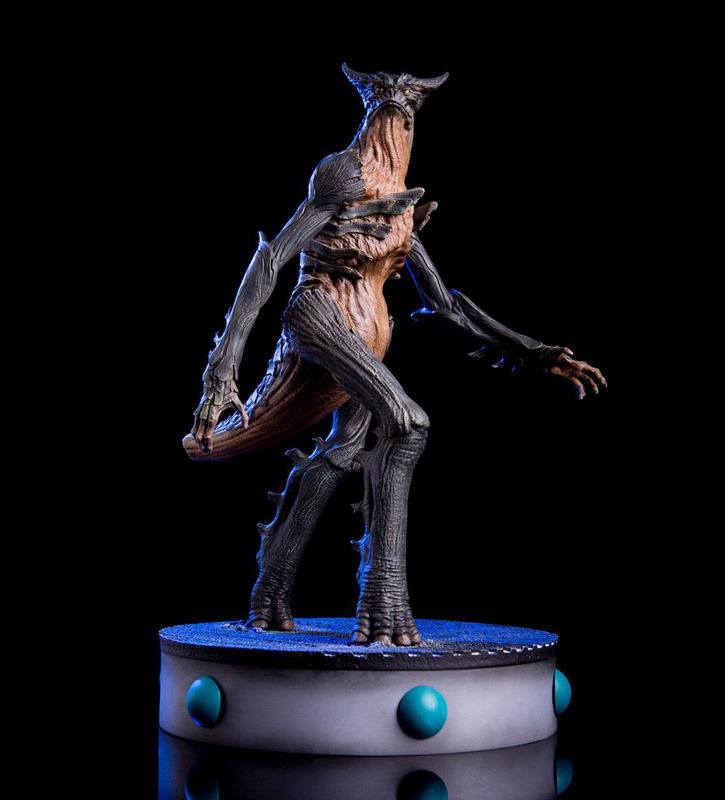 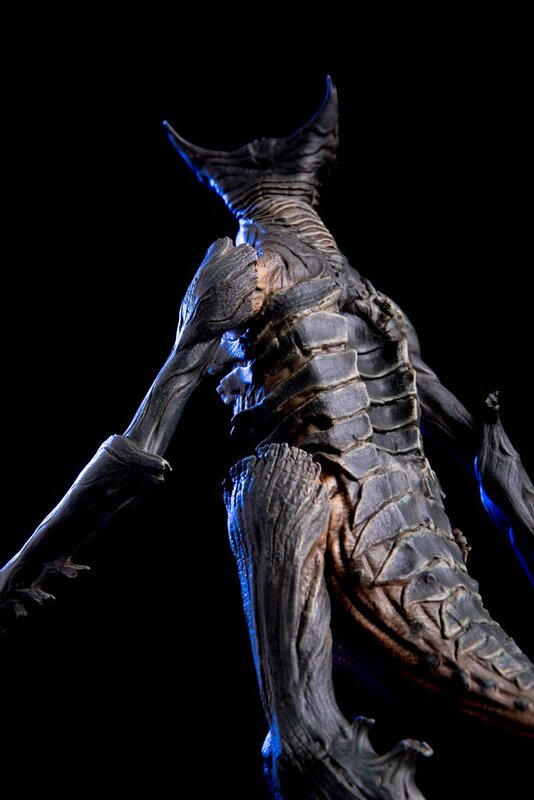 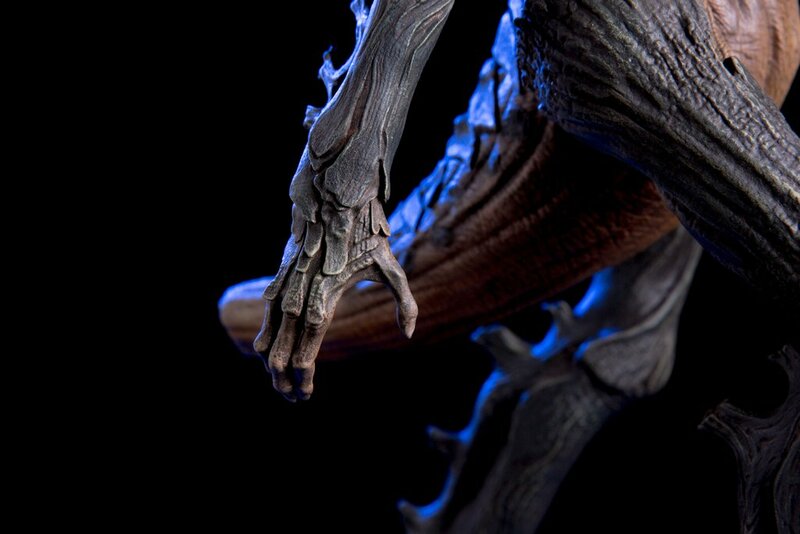 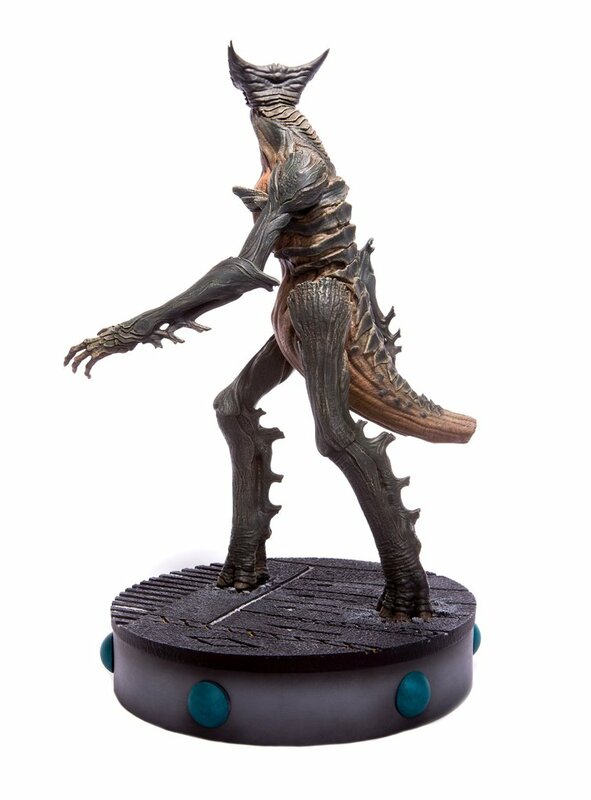 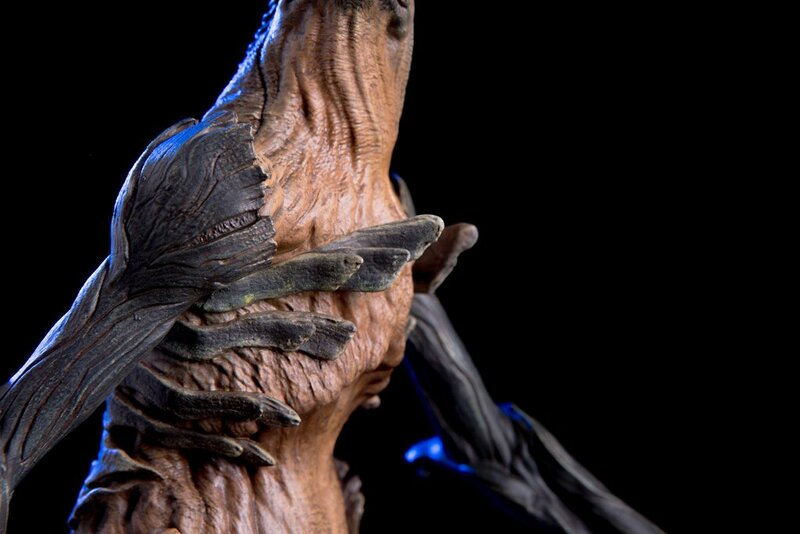 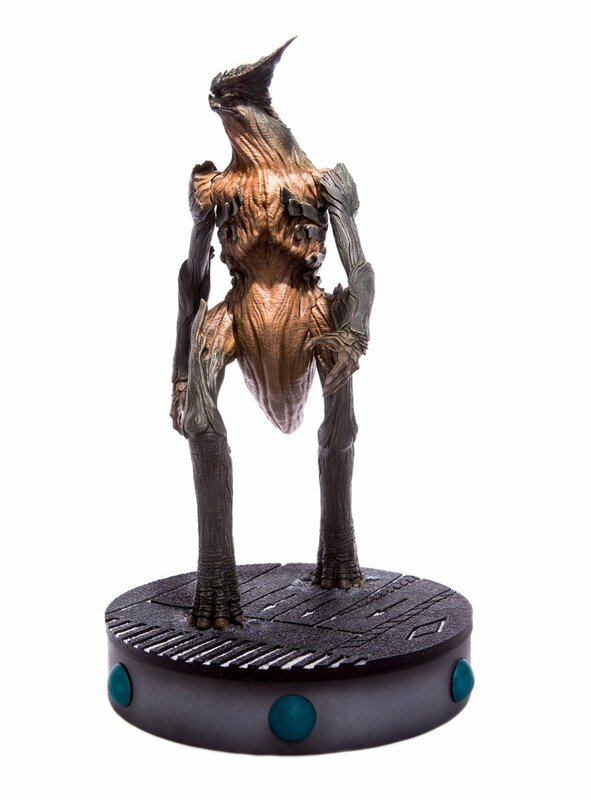 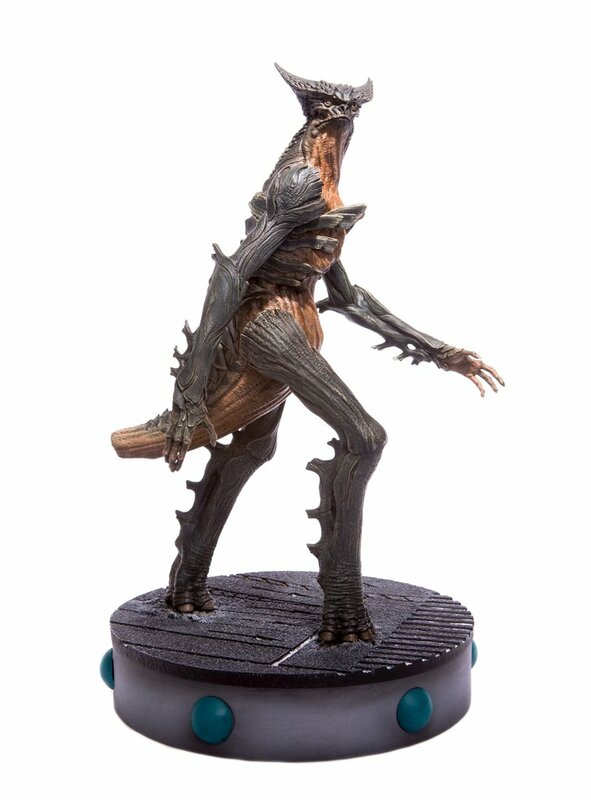 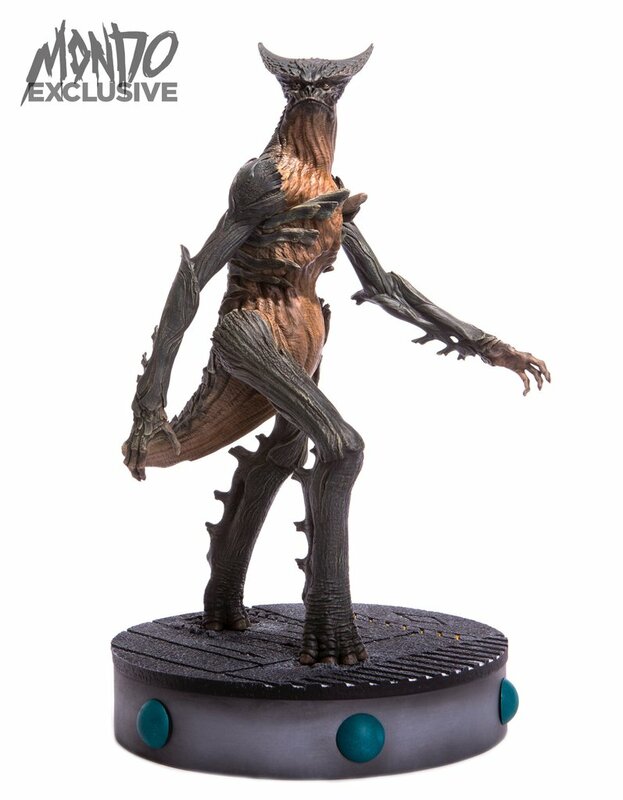 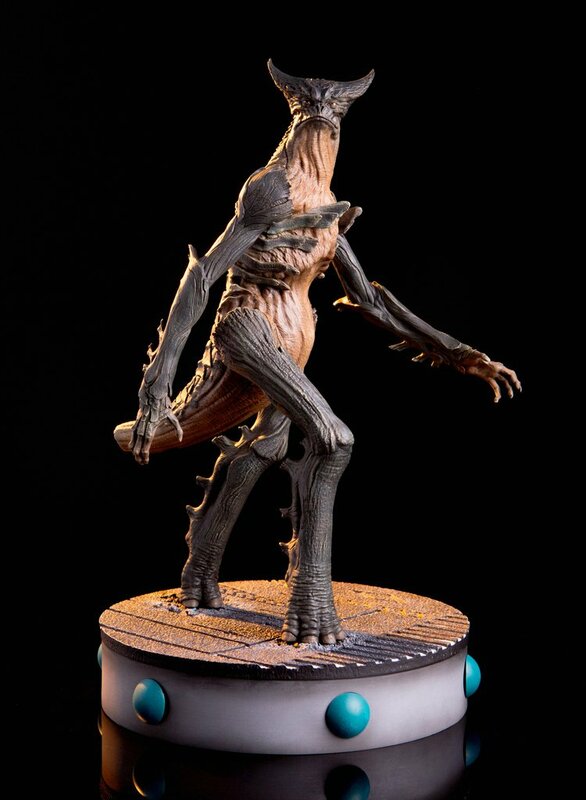 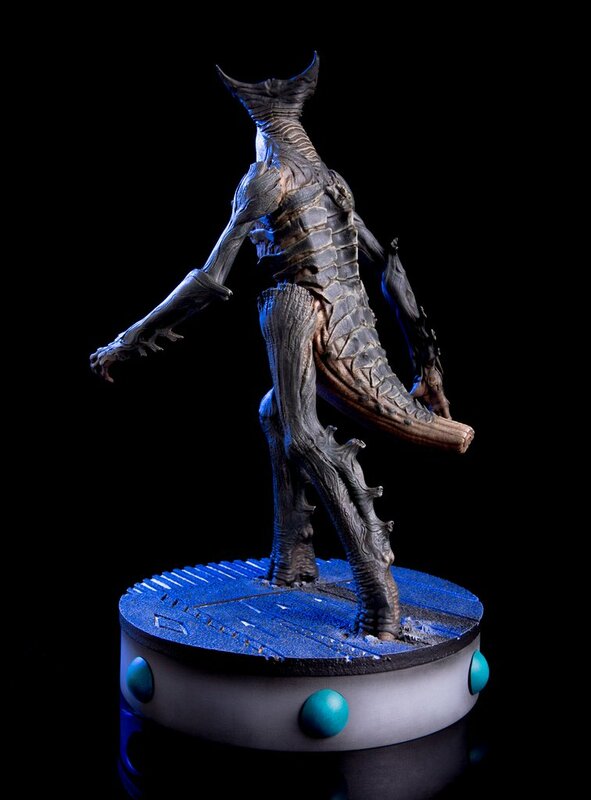 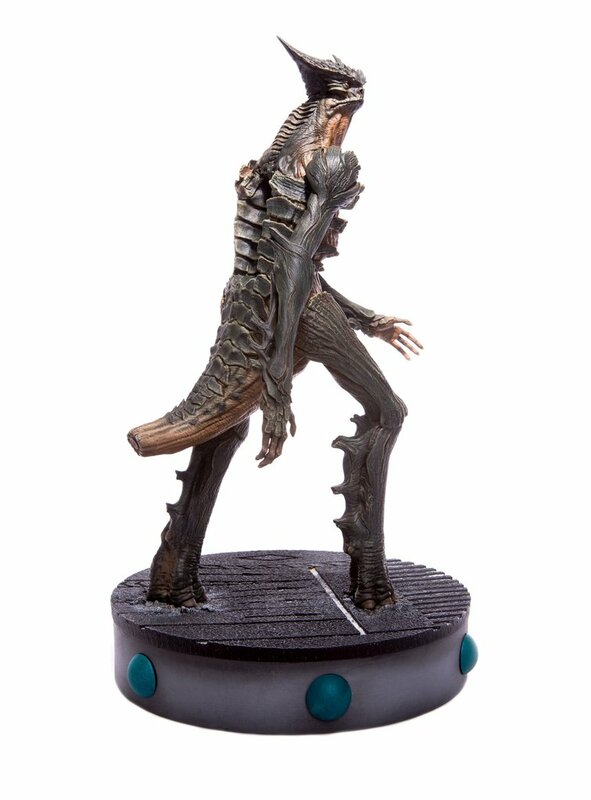 Created using the actual digital model of the creature from the film, this maquette features screen-accurate details of the mysterious giant monster, and includes a display base depicting a street in Seoul, as it stomps though the city, as well as other more subtle hints as to the creature’s link to Gloria. 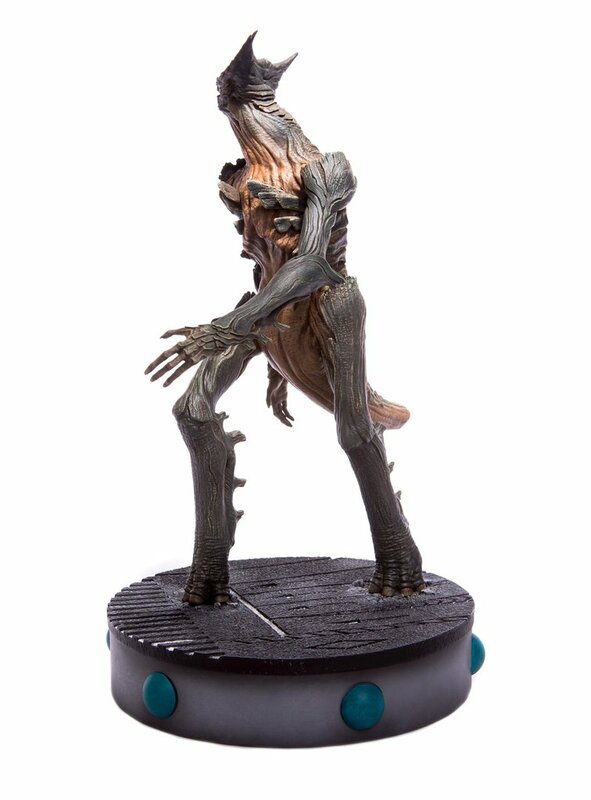 Mondo Exclusive: The exclusive version will include a copy of the film on Blu-ray signed by writer/director Nacho Vigalondo! 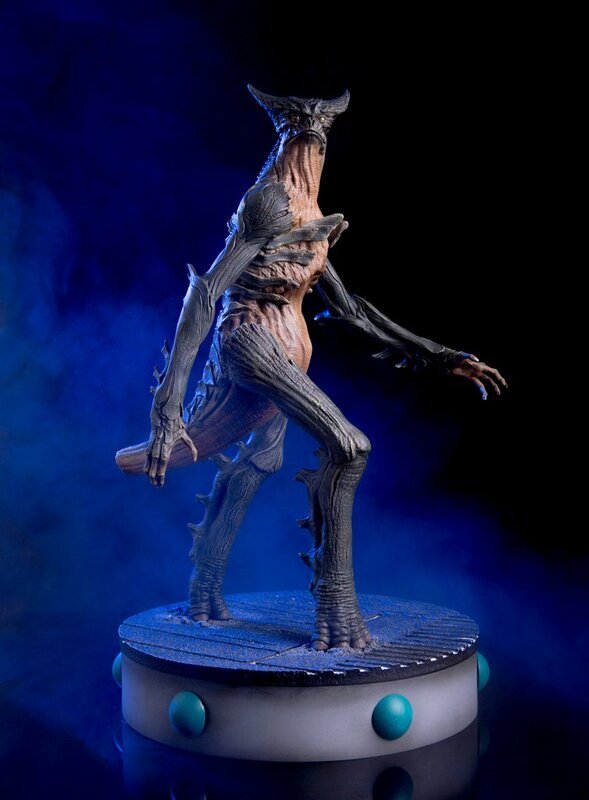 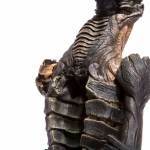 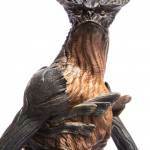 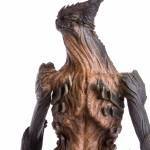 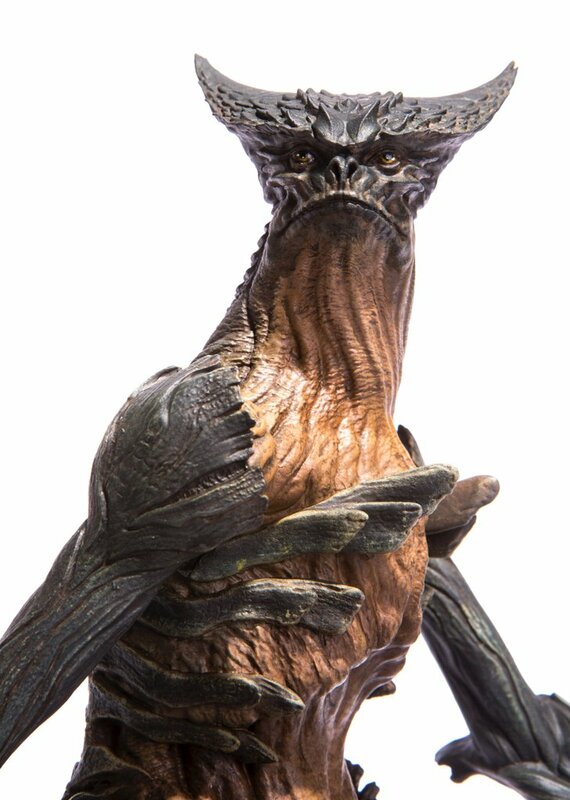 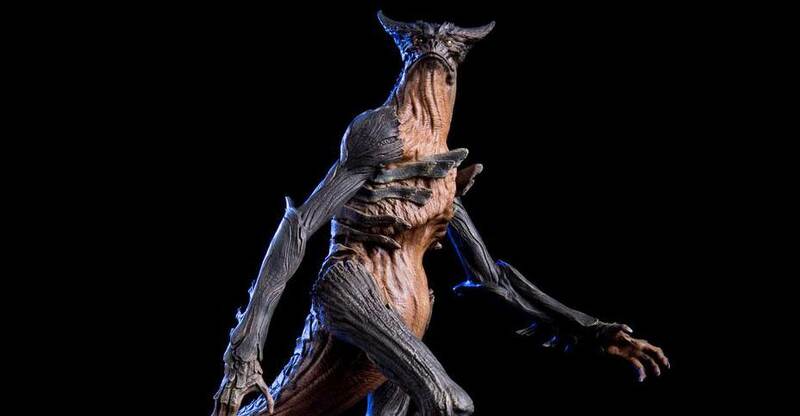 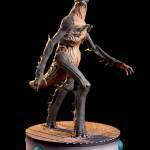 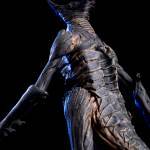 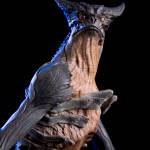 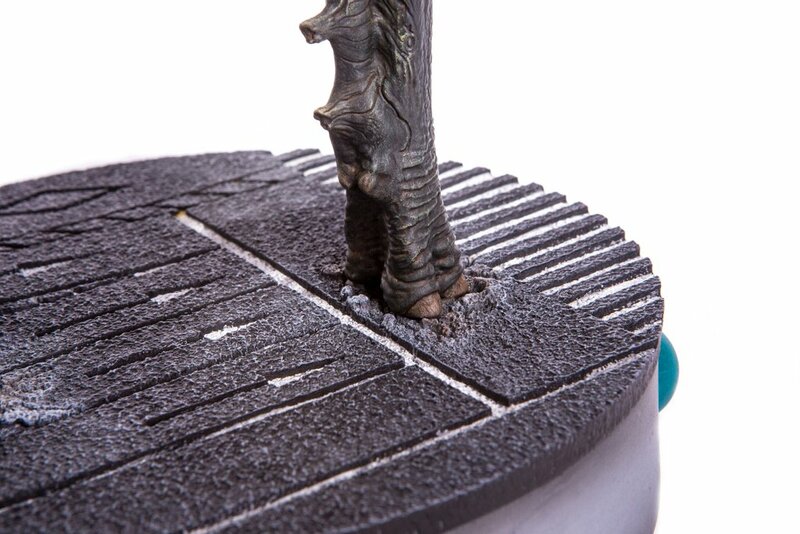 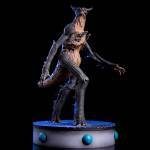 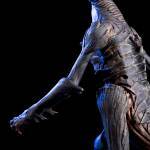 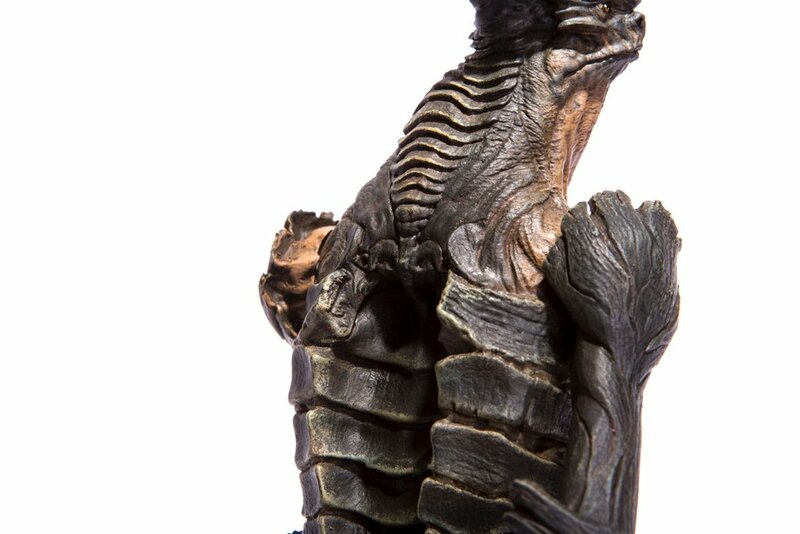 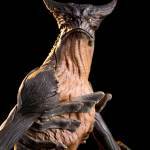 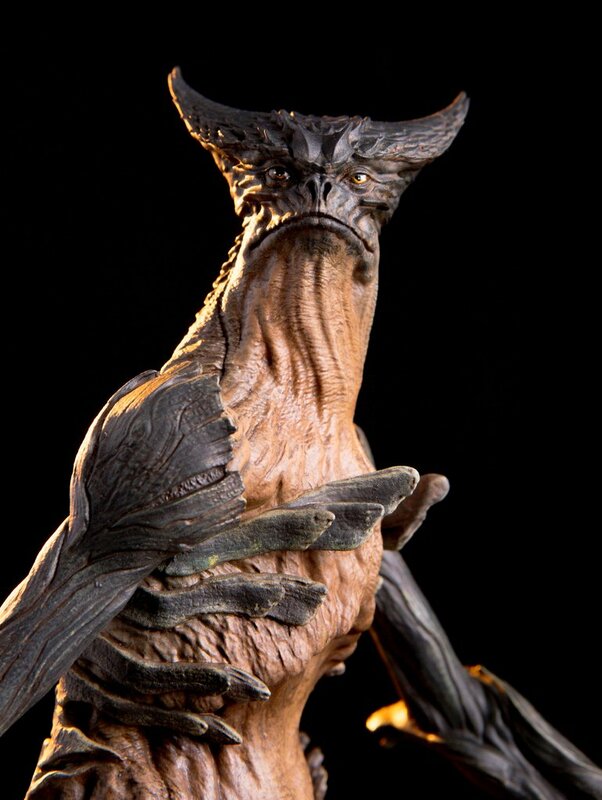 The Colossal – Giant Monster Maquette is priced at $155. 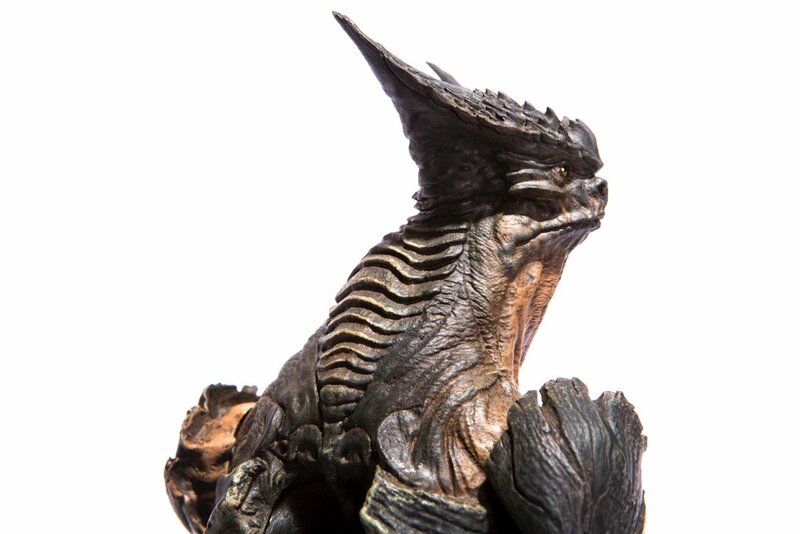 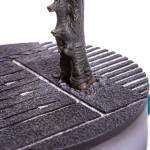 It is scheduled to ship out in the fourth quarter of the year. 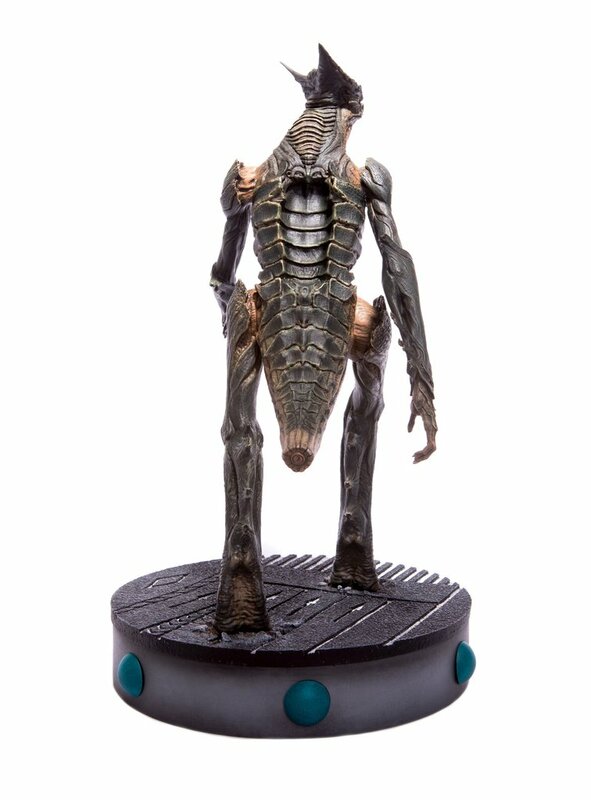 Click the links above to pre-order. 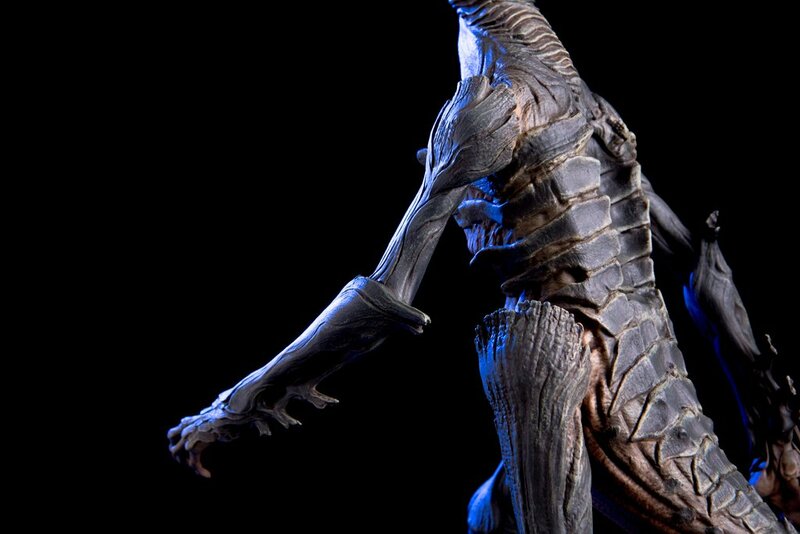 You can see all of the photos, and a trailer for the movie, after the jump. 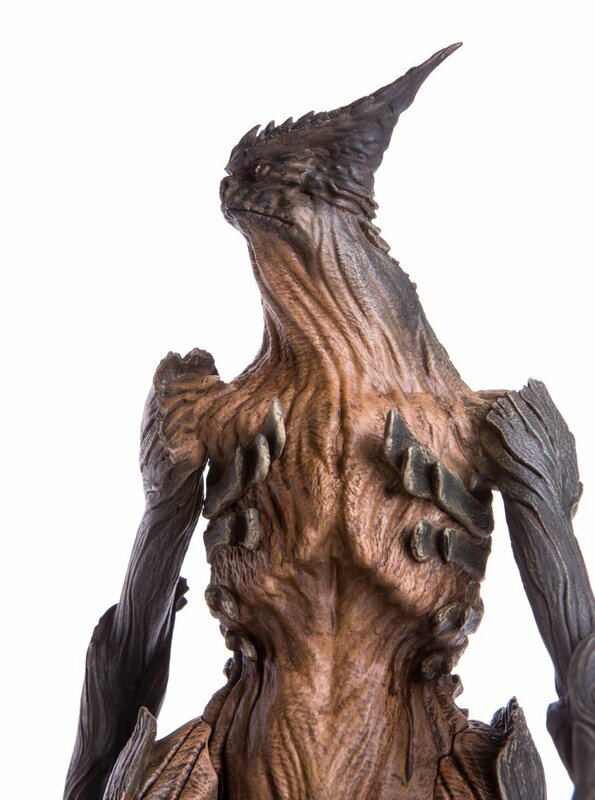 Really nice design, oddly tree-like, as if her scales were also bark.